ALLEGRA BOVERMAN/Staff photo. Gloucester Daily Times. 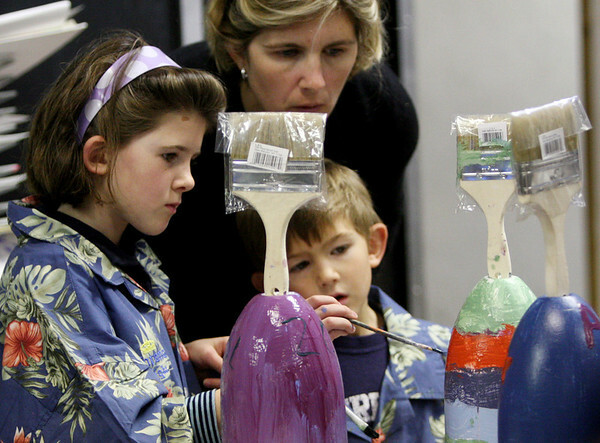 Gloucester: Members of the Mckay family paint buoys at Art Haven on Friday afternoon. Organizers said there were about 66 children in the first hour working on decorated buoys to be hung on the Lobster Trap tree on Satuday before it will be lit. From left are Caroline, 7, brother Liam, 5, and their mom, above, Erin.